Whatsapp has been now a part of one’s life, and no-one considers their lives without using Whatsapp once a day. Talk about gossip with friends, family, and business, Whatsapp provides you all the free features of call, video and voice notes to send your message to your loved ones. But today we are going to discuss GbWhatsapp which most of us are unaware of. GbWhatsapp is a latest and new version of Whatsapp which allows you to use extra additional features of Whatsapp, but the trick of using this version of Whatsapp has to be understood. GbWhatsapp enables us to handle almost everything you can imagine of, whether you talk about setting up automatic messages for anyone, Log-off and Log-in system for every of your contact and even you can read the deleted texts as well. Another feature that GbWhatsapp offers you is that it allows you to personalized your application so that you can have Whatsapp in a way that you want it. You can change the background color of your interface, and not only that you can change the color of received and sent text as well and off course you can additionally put a background image as well of your own choice. GbWhatsapp isn’t only limited to the above features which we mentioned but can grant a password to each of your chat because our relatives have a disease of checking other’s phone quite often. And you’ve installed GbWhatsapp APK on your phone, then what are you worrying about? Just merely set up a password and sit back & relax. If you’re worried about using two Whatsapp in a single phone, then GbWhatsapp has finally solved your problem, and now you can enable this feature in a single phone. All you’ve to do is to install the GbWhatsapp in your mobile and then will allow the function to use two number of Whatsapp in a single phone, isn’t it interesting? I guess yes because there are 40% of the users in the world who are using dual SIM mobile phones. Another feature which is going to make you happy is that it allows you to send a video of more than 30 MBS to someone and you can carry 50 pictures to someone at the same time. What usual Whatsapp does is that it blocks you from sending more than 30 photographs and videos size of more than 30mbs but that’s not the case in GbWhatsapp, you’re free to submit a bid video via GbWhatsapp to anyone you want. 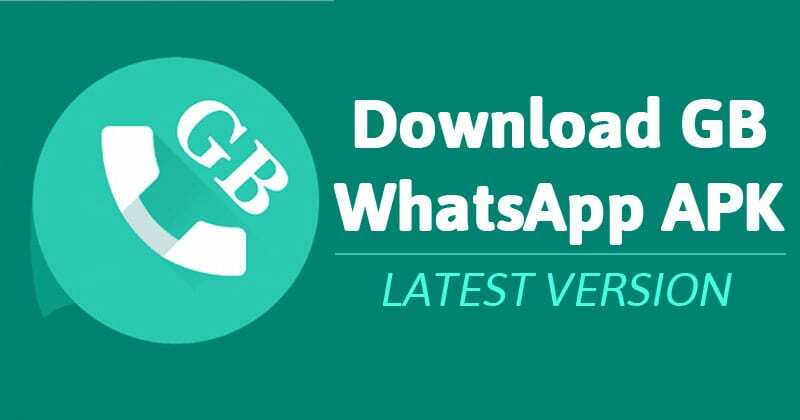 If you’re worried about checking the media which is sent to you by your Whatsapp contact without loading the application, then GbWhatsapp has solved your this problem as well. When you enable this feature from the features bar of GbWhatsapp, then it allows you to check all the media and documents sent to you without loading the application. And according to me, it’s the best feature that GbWhatsapp ever have. You can hide your last seen and online option from specific contact as well. You must be thinking that you can do this in a standard version of Whatsapp as well, but the good thing about GbWhatsapp is that you can still see the last seen and online option of your contact and it doesn’t matter whether you turned the last seen on or off. You’ve all the privileges in GbWhatsapp, and you must be feeling a VIP when using GbWhatsapp, ahh just kidding. What are you now waiting for? Just click on the download button and enjoy all these fantastic features of GbWhatsapp, Cheers!